The new mini PCs with Windows 10 are starting to arrive to Chinese stores, moved by the new Intel Gemini Lake the latest generation of chips manufactured in 14nm. Today with the new Alfawise T1 we have a very interesting miniPC that includes an N4100 chip, more than enough to move Windows 10 without problems. Among the details of the specifications that we like most of this miniPC we highlight its storage options with one internal SATA bay for 2.5-inch disks located at the bottom and one internal M.2 connector where we can connect another SSD with this interface. Check for price and more details. In terms of specifications the Alfawise T1 includes an Intel Celeron N4100 processor with four x86 cores capable of reaching 2.40Ghz in turbo mode and including an Intel UHD Graphics GPU with 12EU and a maximum speed of 700mhz that is capable of playing video 4K @ 60fps. We also find 4GB of DDR4 RAM, 64GB of eMMc 5.0 storage memory and an Intel3165 chip that provides us with Wifi aC and Bluetooth 4.0. 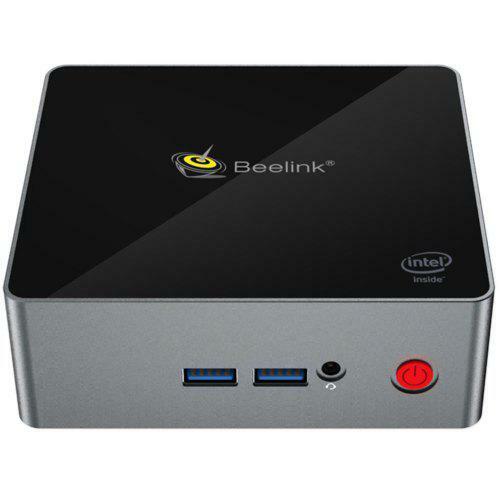 In terms of connectivity is not bad this miniPC as it has 4 USB 3.0 ports, VGA output, microSD card reader, a USB Type-C port, Gigabit network interface, audio jack and a HDMI 2.0a connector. Finally comment that on the front of its plastic box we have a built-in microphone, in regard to its cooling we assume that it will have a fan in its processor because in its advertising is not said to be fanless.